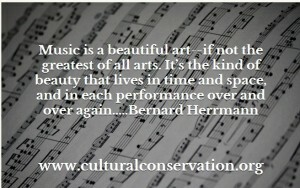 Bernard Herrmann was an eminent composer of symphonic, operatic, and film music. He rejected all fads and fashions to pursue a musical ideal. At a time when many of his colleagues were tripping over their own feet in an effort to keep up with the latest trends in commercial music, Herrmann responded with an uncompromising “no.” He detested musical charlatans, even those making millions of dollars a year. He paid the price for his outspoken integrity, enduring ridicule and sarcasm from those in Hollywood whose only interest was profit. Studio boss Lew Wasserman summed up the view from Hollywood and Vine when he told Herrmann, “Benny, come see me when you get hungry.” Herrmann responded, “Lew, when I get hungry, I go to Chasen’s.” History was on Herrmann’s side and today he is regarded as a master when many of his contemporaries and the studio executives who hired them are forgotten. His own music was intense, personal, passionate, and full of emotional contrast. 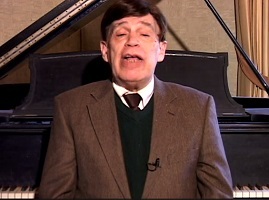 Herrmann’s musical standards were derived from and inspired by the greatest composers of all time. What is the special appeal of music? Learn more about the Joy of Music. Click here! Do Your Children Think Churchill is a Bulldog? Do Your Children Think Beethoven is a Saint Bernard?